What do you think about this contrast? Please note that my previous post did not have anything to do with Mario Joseph and Stephanie Villedrouin. Mario Joseph and Stephanie Villedrouin shall not just contemplate holding these honorable titles and releasing speeches with no delivery. They shall carry out the duties of these jobs as required. Root cause analyses must be conducted to determine why tourism works at the neighbor next door and not in our own yard. What tools do we have in place to counter whatever is going on wrong in Haiti? 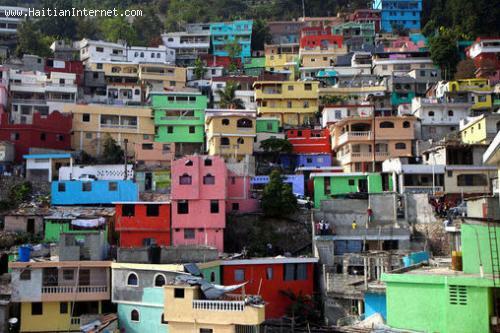 I think that the question is that: Does Haiti need tourism or security? Without security or justice, tourism will remain a dream and never a reality. Countries with tourism as their industry such as our neighbor have TRUE LEADERS that deeply and unselfishly look into the long term benefits of investing on the foundation of protecting lives of the local folks to attract visitors. While I don't suppose this question of wether Haiti needs tourism or does it need justice implies in any way or by any fragment of any one's imagination that there exists a choice to be made here, Haitians, though predominantly poor, are still a people, and their demand for economic patriotism like other people of the world including americans is not a sin because of the nature of their developing status. I don't see why they should collide.